Soon after Google released Android Wear 2.0 last week, Telegram availed its app on the platform. Well, another app has joined the club now, and it’s none other than the ride-hailing app Uber. 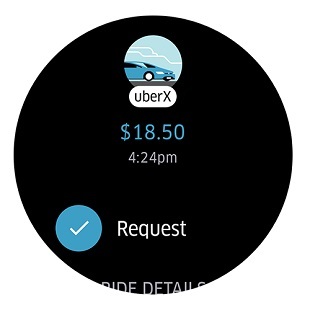 Back in 2015, during the Google I/O, Uber had promised that it would soon avail its app on Android Wear. Well, that didn’t happen. However, the company has now brought its app for Android Wear 2.0. 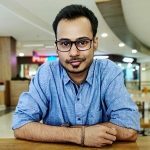 This is a standalone app which means you can download it directly from the Play Store on your smartwatch, and, you also don’t have to keep your smartwatch connected to your smartphone to be able to use this app. Request a ride even if you don’t have your phone with you. Find your top destinations quickly with shortcuts to home and work. Check your driver’s progress at a glance. Follow the ride once it begins. For now, you can only take advantage of Uber on Android Wear 2.0 if you have LG Watch Sport or LG Watch Style. However, the update will be released to more smartwatches soon. You can check out this list of smartwatches that will receive Android Wear 2.0 update. We hope that by the time Android Wear 2.0 rolls out to older smartwatches, there will be enough apps available in the Play Store to make use of Wear 2.0’s features.